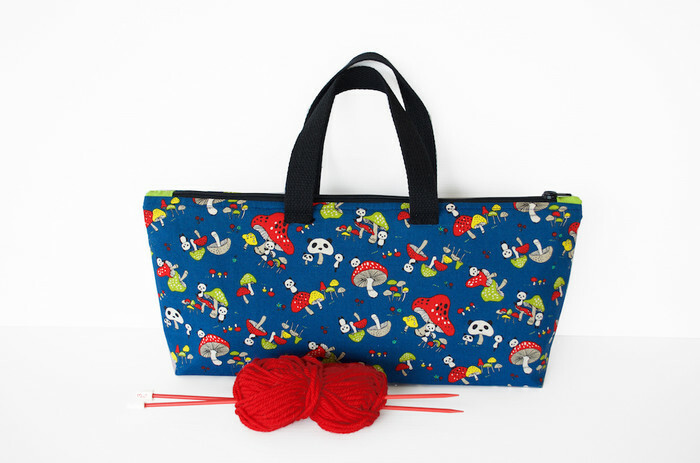 Panda's and colourful toadstools abound on this very cute navy blue knitting storage bag. 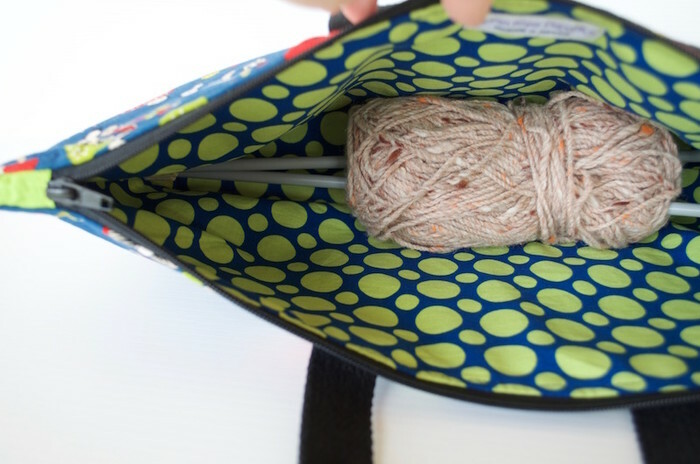 I made this bag to fit most knitting needle sizes and several skeins of wool. 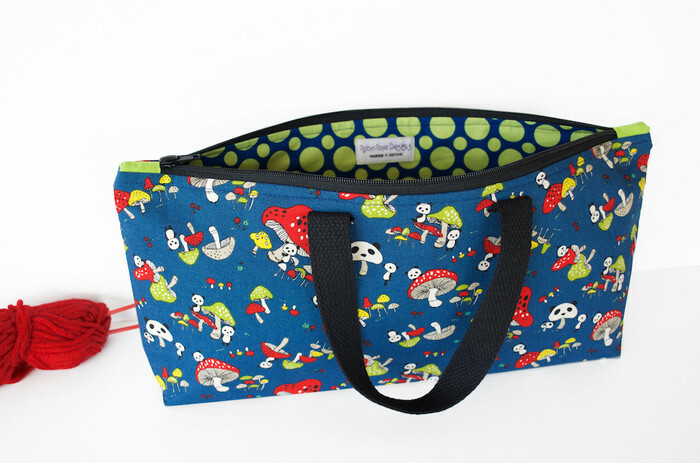 The fabric is a Japanese light canvas, lined with contrasting spotted cotton fabric. 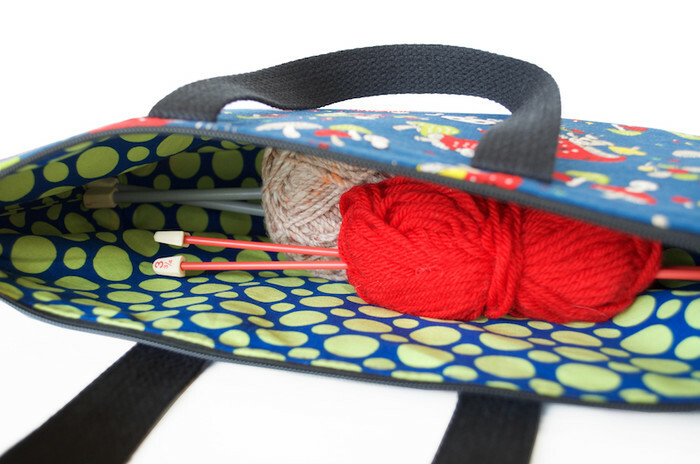 The bag is backed with heavy weight stabiliser for added strength. I've attached two straps of woven cotton belting for easy cartage. 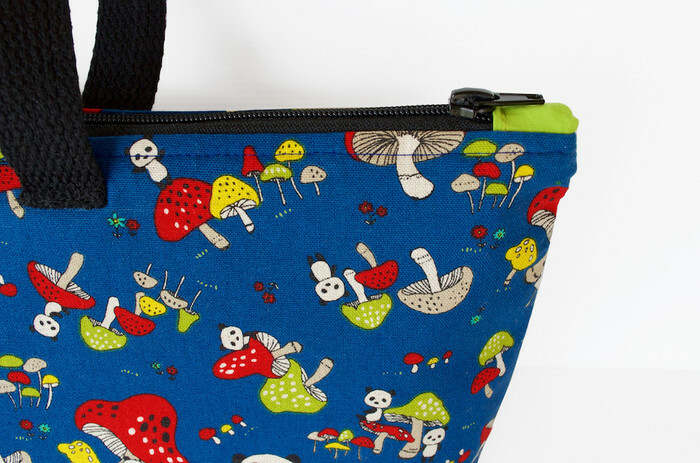 It closes with a heavy duty black zip. 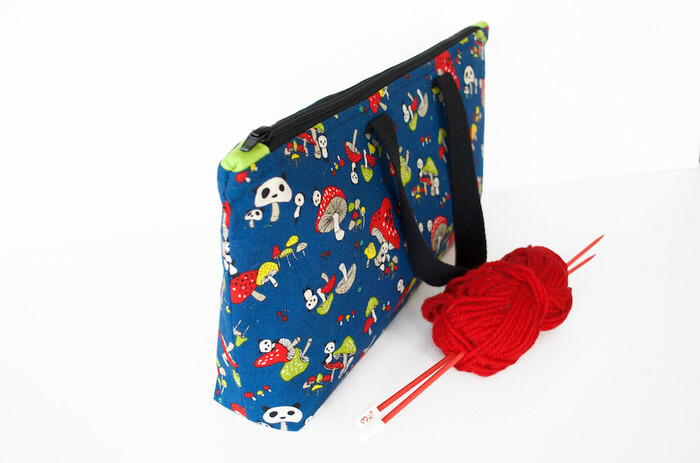 Lovely Christmas gift for the crafter who knits, crochets, embroiders or has a project on the go. I recommend hand washing in cold water when required. All fabrics are new and pre washed to remove dye and shrinkage.